I hope you all had a very happy holiday, I sure did! We spent Christmas at my moms lake house (where there is no phone or cell service) it was so peaceful to be unplugged, (maybe peaceful isn’t the word, there was 30 people there) a lot of fun had though! I’m still in Holiday mode for the most part, (I have managed to peel myself off the sofa, shower, and press pause on the 2 day movie marathon). I’m so ready to get started on the new year and hammer down on some of my resolutions. 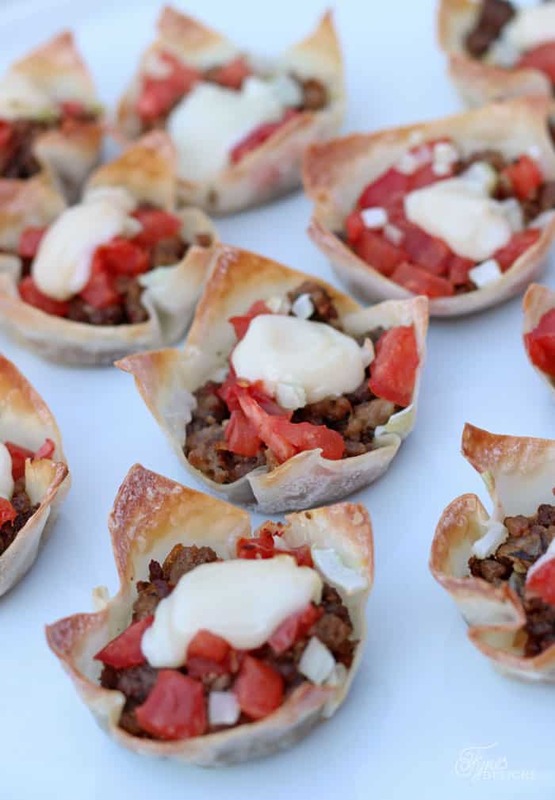 Buuut with New year’s planning in full force I thought you might be looking for a little tasty treat to whip up for your guests, and I just couldn’t leave you idealess, so today I have Donair Cup Appetizers for you, yum! Mix spices and ground beef, fry in a pan. Seed and chop tomato and onion. In a small a small bowl, mix ingredients for the Donair sauce. Press a wonton wrapper in each hole of a standard size muffin pan. 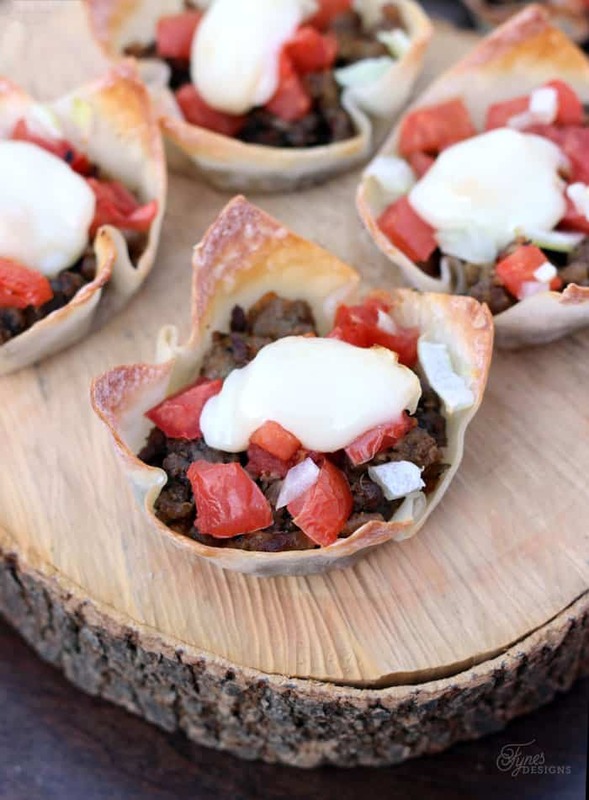 Put a small dollop of donair sauce in each cup, top with a tablespoon of donair meat, a few diced tomatoes and onion, and an additional dollop of donair sauce. place in oven for 8-10 mins until tips of wonton are crisp. These little guys are super yummy, it will give you a little taste of east coast dining! I like my donair sauce quite thick, but thick donair sauce doesn’t spread when cooked, (as you think a liquid would) it actually cooks, so you might want yours a little thinner than I like it. I hope you enjoy these little tasty Appetizers. If you’re more of a dip type crowd than finger foods, be sure to check out this Amazingly yummy Donair Dip from Mmm is for Mommy, you won’t be disappointed! Happy NEW YEAR, See you in 2015 for loads of inspiration, projects, DIY makeovers, recipes and more! Look so yummy, Happy New year. Looks so delicious, Virginia! Pinning!